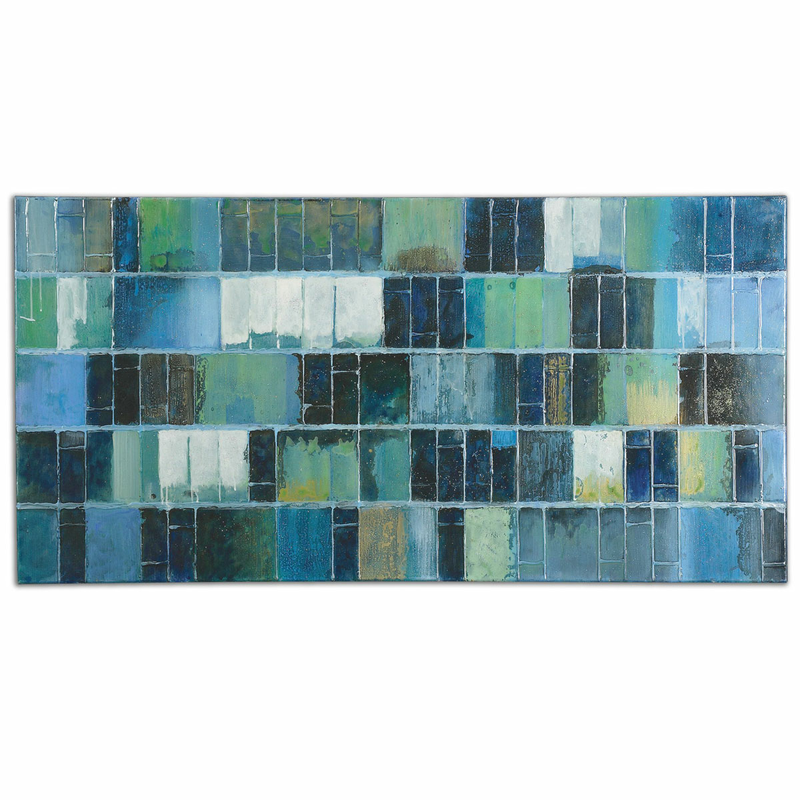 The Glass Tiles Canvas Wall Art adds a touch of coastal style to your home with hand painted tile coastal wall art in watery hues of blue and green with a high gloss and glitter finish. Ships from the manufacturer. Allow 2 weeks. Cannot express ship. For additional pieces, we ask you to make time to view our full range of coastal wall art at Bella Coastal decor now.